Come and discover the breathtaking views of the Dorset coastline in this ever-popular hotel. Many locals often drop in for lunch or an evening drink because of the exceptional views this lovely hotel offers. With its wide open expanse of sky, sea and sand, this break will leave you feeling invigorated, giving you a blast of fresh air, nature and relaxation all in one. Choose from a Standard Room or a Sea View Room with Balcony, enjoying breakfast daily and a complimentary dinner on the first night for stays of 3 nights or more! 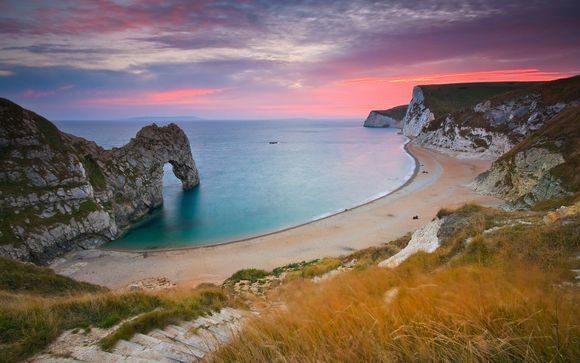 Dorset has a host of amazing areas to visit – from the beautiful New Forest to picturesque seaside towns and bustling resorts of Bournemouth and Weymouth - venue for the sailing events for the London 2012 Olympics. Why not also explore Dorset’s impressive Jurassic coast – sample fresh seafood in the gorgeous village of Swanage, enjoy a brisk walk along the South West coast path, or visit the ruins of ancient Corfe Castle. Wherever you choose to spend your leisure time in Dorset, you’ll be blown away by the breathtaking natural beauty of the area. And for a spot of retail therapy, Bournemouth town centre is just a few miles away. One of the first impressions you will have on arrival at the Sandbanks is the stunning view. This excellent hotel leads straight out onto a blue flag beach. The hotel has its own character, charm and individuality of style, complemented by a wide and superb selection of facilities. Whether your interests lie in active water sports, relaxing with the family or just escaping from the daily routine – this hotel is perfect for a short break. These well-appointed bedrooms are designed for comfort. 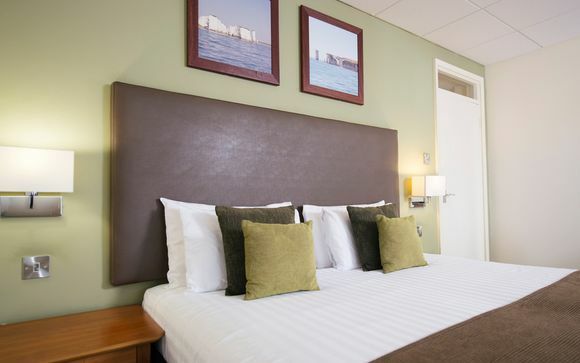 Light and airy, these rooms feature a modern design & features such as a flat screen TV & complimentary WiFi as well a tea & coffee making facilities. 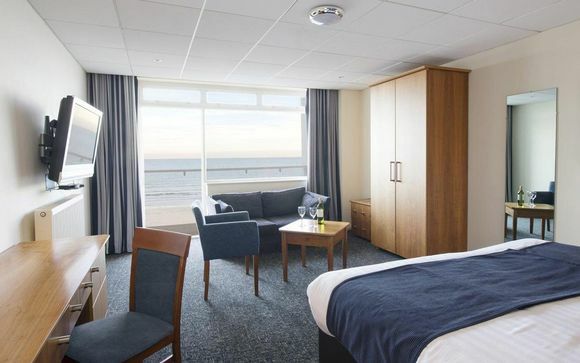 These lovely sea view rooms have all the benefits of the standard rooms, but with magnificent views over Sandbanks beach and a lovely balcony to enjoy them from. Just for you: Stay 3 nights and enjoy a 3-course dinner on the first evening of your stay. Open every night offering cuisine that will appeal to every palate. The menu includes fresh sea food, meat and vegetarian dishes. Miles of golden sand and the ever changing seascapes are the views which will accompany your breakfast – what a perfect way to start the day. 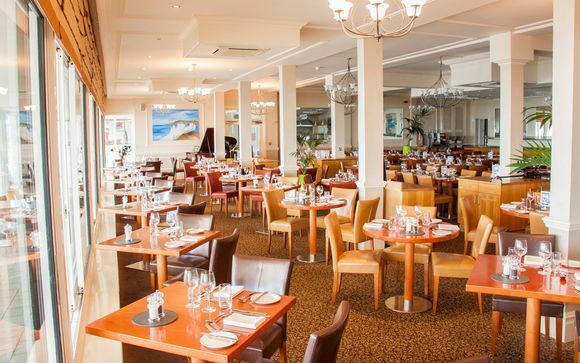 For a pleasant pre-dinner drink, Sandbanks Bar is ideal - a modern, recently refurbished bar serving cocktails, draught and bottled beer and wine by the glass or bottle. Nothing could be more magical than watching the sun set over Poole Harbour from the comfort of the bar lounge or its outside terrace. The Terrace Bar’s unique location, overlooking the never ending seascape including Old Harry Rocks to the south, creates an enviable destination for that quiet drink before dinner from April to September. 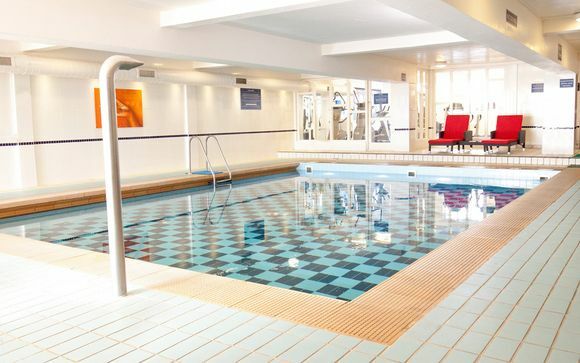 With such a wonderful location, Sandbanks Leisure Club has facilities to satisfy the most enthusiastic sports person. Within the hotel you can enjoy the warm water 10-metre pool, as well as a sauna. Depending on the season, the hotel’s water sports academy offers windsurfing tuition, kayaking, sailing and speedboat excursions. For real luxury why not treat yourself to a day or half-day charter of the hotel’s 44 foot catamaran – a wonderful way to see the glorious Dorset coastline?